im just here to discuss an idea with mr=e and my faincee made a k1 visa ,i passt the interview on 18 march 2019 ,then they gave me like a form wiritten on it that your application is refused until we precess the papers you submitted .then ,after two days they sent me the ds 55 35 to fill up and resend it back to them . So now ,due to my fancee is a Mexican American we dicided to get merried and go to mexico ,then we will will get the recedency and stay closer to each other and apply for cr1 visa .im just curous .when i get the risedency should we aplly the process to go through mexican or morrocan consulate even if im ganna be staying ther ?? Usually people who get the DS do end up getting their visa....it just takes awhile. If it takes you a year then you're in the same situation because the CR1 will take a year too and if you got it for the K1 you would likely get it for the CR1. So get married if you want but it just means your process could potentially take another 2 years instead of just waiting the DS5535 out. And what makes you so sure you will get a visa to Mexico? Also your cr1 Visa might be put on hold for the same reason your k1 was. actually its a tough situation.DS 5535 will take months and months .then as Muslim u want to be married so that u can live together in Mexico .when u will apply for CR-1 from Mexico u will need to wait till u have the residency in there, don't know how long it will take. after u Get Married K1 is no more a valid visa for u.
as the other person said Applying for CR-1 will take the same time or longer than DS 5535 check to be completed. plus more money to spend. I'm personally dealing with DS 5535 for my wife and we have a first baby child which made it even worst to be apart but we are dealing with the challenge with patience and supporting each other .now it's been 10 months after Interview and 2 years since I applied. yes that why we wanted to get married .we asked about we found like somone who got the residency so easily .we are really tired of distance . thank you .so you advoce me to do it .do u think things may go good in mexico ?? Whatever route you decide in the end processing time so hard recently. Patience is the Key! Good luck to you both. can she make enough money in Mexico to support the CR1 application? Well we have experience in this! We were able to DCF as I already had proof of residency there. There are a lot of things to be aware of. First, you most likely won't be able to get a Mexican Visa as a single person. North Africans coming on a tourist visa is hard. Think USA hard. But it only cost about $38 to apply. Your fiance should be there with you to apply. If you decide to marry in Morocco you will be abandoning your K1. As long as your petitioner has either Mexican Citizenship or a green card, either temporary or permanent, they can apply for a family visa for you at the Mexican Embassy in Morocco or where you got married. The petitioner will have to be with you at the Embassy. They get interviewed too. I prepared about two inches thick of my proof of property ownership and my residency status and our relationship. The amazing thing is we got ours done in 5 hours. Appointment at 10am, pick up passport with visa a 3pm. Once you get to Mexico you will need to get your green card. Mary's took about 6 weeks. Get a drivers license too. Make sure things like rent and utilities are in your name too. Then file the I-130 petition. During that time you need to maintain your (legal) residency. You might have a Mexican Green Card that is valid for a year, two, three or four years or forever. It just depends if you get a temporary or permanent visa. It has to be current at the time of interview and I've heard during the NVC process as well. Nothing happens under pressure in Mexico. You need to realize that Juarez is the busiest IV consulate in the world. Right now, according to reports on VJ, it is backed up over 8 months to get an interview. For your interview you will need police reports for Morocco and Chihuahua and a current Green Card. Make sure you have a few years left on your passport before you go to Mexico. When Mary interviewed she had to meet many requirements for both Mexico and Philippines for paperwork. We got married in Hong Kong so there was a marriage certificate from there too. Honestly I would expect that a DS5535 would be asked for as well. Just because you are in Mexico you are still Moroccan. Do you speak spanish? Do you intend to participate in the culture? Living in a border town in Mexico is pretty ruff. I've done that. You are going to be there for probably two or more years. I haven't seen much North African culture in Juarez. I have in Mexicali. I've been to Casablanca and Fez and had a business in Juarez. It is very different. Mary lived in a tourist town and hour south of the border where a lot of english was spoken, had my friends around to support her and made her own friends and volunteered. She had her own car and did speak a bit a spanish before arriving. I still traveled worldwide while she was living there. Again we were DCF so that was only for a total of 5 months. If you acknowledge that this is going to be a longer process and want to just be closer to each other then I would say go for it. Best wishes. Feel free to PM me if you want. Best bet to close the distance quickly is for your fiancé to move to Morocco instead. After reading all the comments I thought I would put my 2 cents in. My husband is from Tunisia and I live on the west coast of the US. 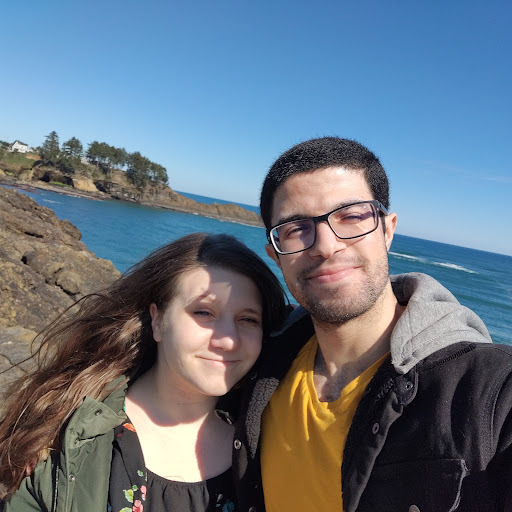 We had the extra scrutiny from him being North African, the time difference was hard, and it cost a ton to travel to see each other but in the end, it was totally worth the wait. From what I can see, you are thinking about changing from a more guaranteed path (k-1 visa) to the much harder, more circumstantial/tons of unknowns to just be closer to each other. While that might seem ideal considerating that you miss each other a lot, is it really worth the possibility that the wait time, to get the US could double/triple? Plus if you get married, you cannot get a K-1 visa, you must refile for the CR1. So all the money and time spent on the k-1 will be wasted. In the end, it's ultimately up to you two. If you really can't decide, talk to an immigration lawyer so they can review your specific situation. Just my opinion but I think you'd be making things harder on yourself and your fiancee'....and for what ? I cannot tell you the countless stories of others who have been separated from the one they love for years and years !!!!! Personally, if you were my fiancee' I'd tell you stay put and i'll make as many trips to Morocco as I possibly can while you get through this. Get married in Morocco and do the CR1. Either way, you're looking at a long separation. It's hard to think logically when love is involved but you have to think long term. Best of luck !